These different approaches may have some merit, and no doubt progress could be made in implementing reforms, but the ‘causes’ listed here are actually symptoms of a deeper problem which ought to be resolved for us to see any substantial progress. The root problem is the role we have assigned Eskom, and by extension, the role we have granted the state in our lives. Eskom’s nature is such that it enjoys a state-backed monopoly on the energy market in South Africa. While it can buy supply from independent power producers (IPPs), those IPPs in turn cannot sell or distribute electricity directly to consumers. It is good that IPPs can exist in principle, but the entire process has been fraught from the beginning because there is too much interference between Eskom and the market. The more middlemen and hurdles you add between the consumer and the supplier, the further and higher you remove the price from what it would be in an unobstructed market. Eskom cannot reliably identify demand and then adjust its supply, because at no point does it know what true demand is. Those who point to Eskom’s reliability during the years of Apartheid miss the crucial point that, at that time, the state was managing Eskom (an example of socialism) and geared it towards providing for a small section of the South African population. If the electricity market had been opened up after 1994, with the accompanying competition which would have forced Eskom to adapt and streamline its business model to be appealing to both investors and customers, the entity would have been in a much stronger position right now. You can never truly know if a business is actually a capable self-supporting entity until it is subjected to open competition. Any reformation of Eskom will entail job losses. But the people working for Eskom would be able to take their expertise to independent contractors who would arguably pay them more, and provided they can work with an adequate level of competence, their job would be more secure than it is at this point in time. This is especially true given some reports that indicate Eskom is on the precipice of collapse. The South African economy loses billions of rands every time Eskom implements loadshedding. Furthermore, Tito Mboweni announced in his 2019 budget speech that Eskom will receive R23-billion each year for the next three years. Were we to have multiple energy producers and providers, those whose prices are too high will lose customers and those who are more competitive will attract more. Any business must operate on a basis where it tries to make a profit. There exists a massive hunger in SA for reliable, cheap electricity, and it would be to any provider’s advantage to earn the reputation of being a reliable, cheap option for customers. The state must lose its fear of what may happen if it stepped back and granted South Africans the dignity to look after themselves and their own electricity needs. State capture and the cronyism and incompetence that has led to repeated requests for bailouts by the likes of Eskom and SAA should no longer surprise us. Why? Because South Africans have allowed the state to assume the role of provider of goodies, not of protector of individual rights. 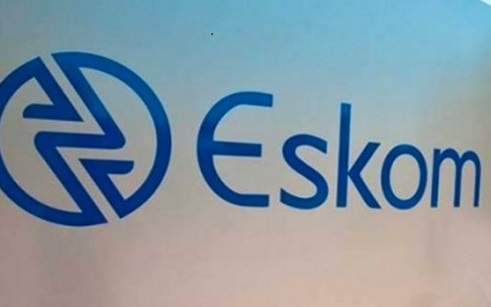 The discussion around Eskom’s troubles and possible solutions are devoid of any talk about whether Eskom should even exist as a state-backed monopoly in the first place. As a starting point, our focus should be on competition, that businesses should compete for customers’ rands. As things stand, Eskom is entitled to state aid, a fact South Africans feel acutely in their pockets. The President can intervene, new board members and CEOs can be appointed etc., but they will never have to manage Eskom as though it were a normal business in a competitive market. Eskom’s current state is the result of the state’s view that it must provide South Africans with electricity and for that reason, it will never let Eskom go. We will always witness endemic, entrenched failures such as Eskom’s and SAA’s for as long as the state has as much power as we currently grant it. Eskom cannot be sold overnight - its debt is so high that no one would take it on. But at the absolute least IPPs, whether they provide renewable or fossil fuel energy, should be allowed to compete and to have direct access to consumers. Eskom could still play a limited role, but for as long as the state believes it is our saviour, we will never see real change.